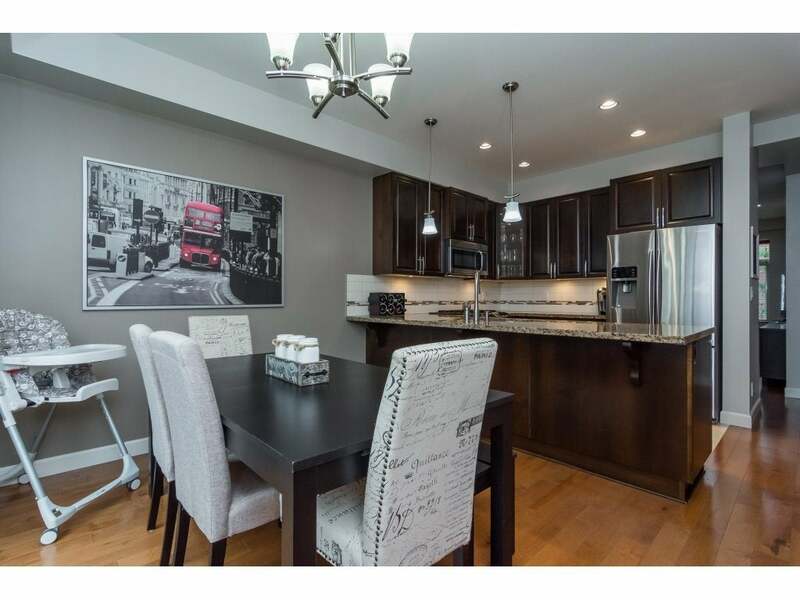 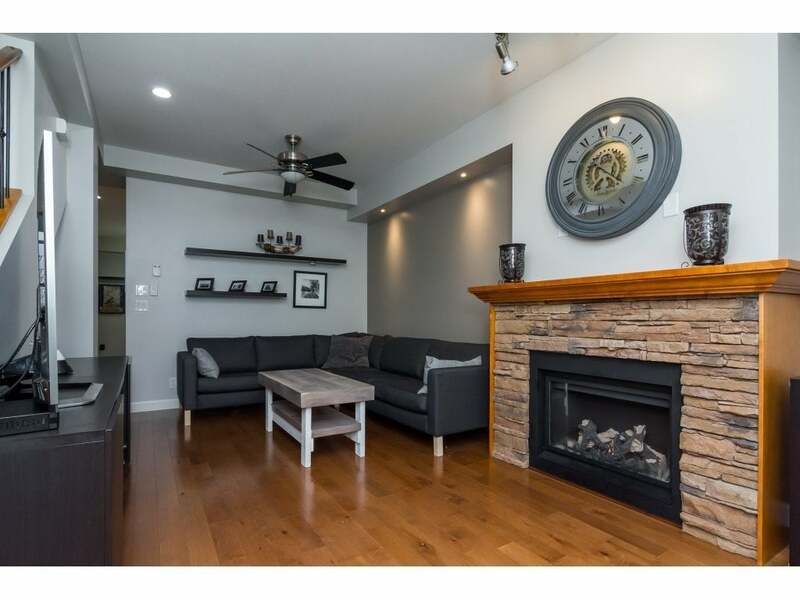 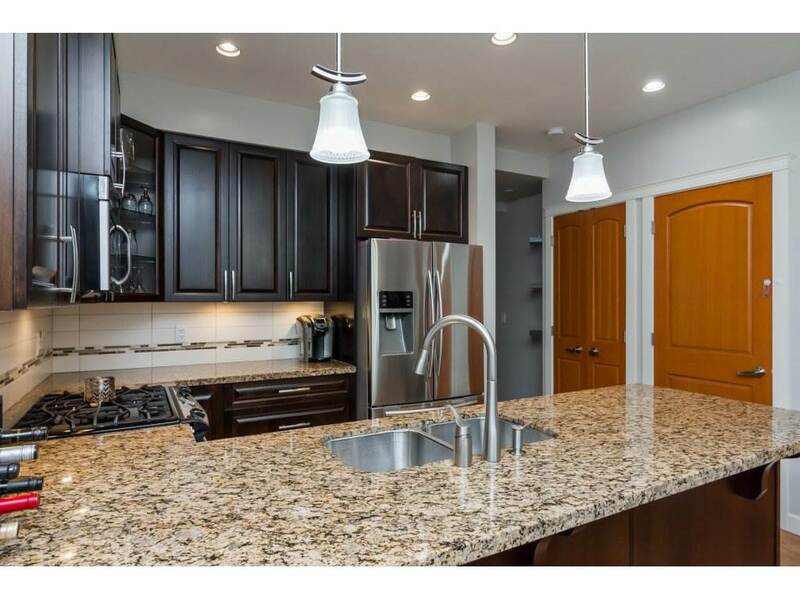 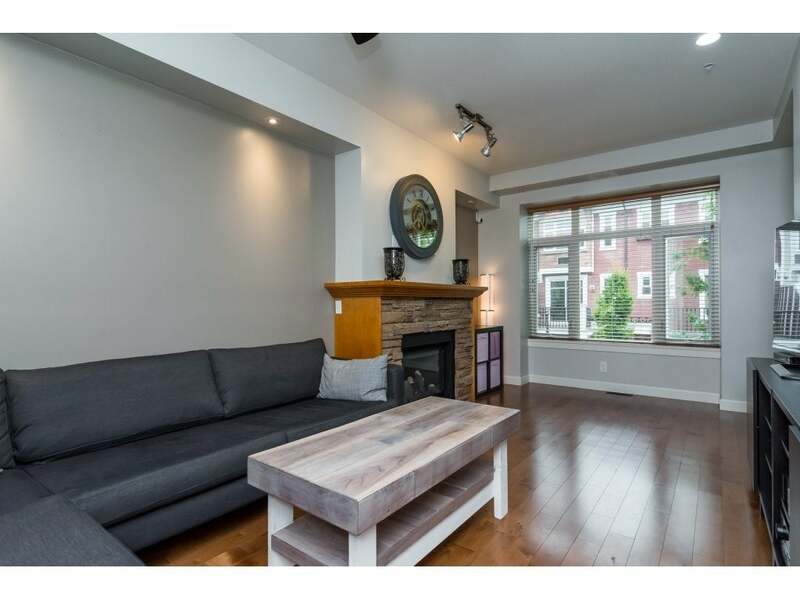 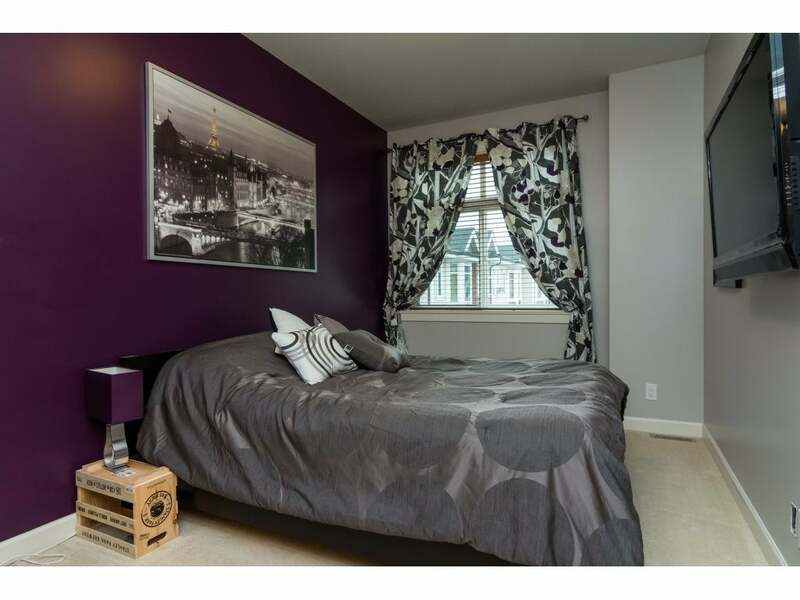 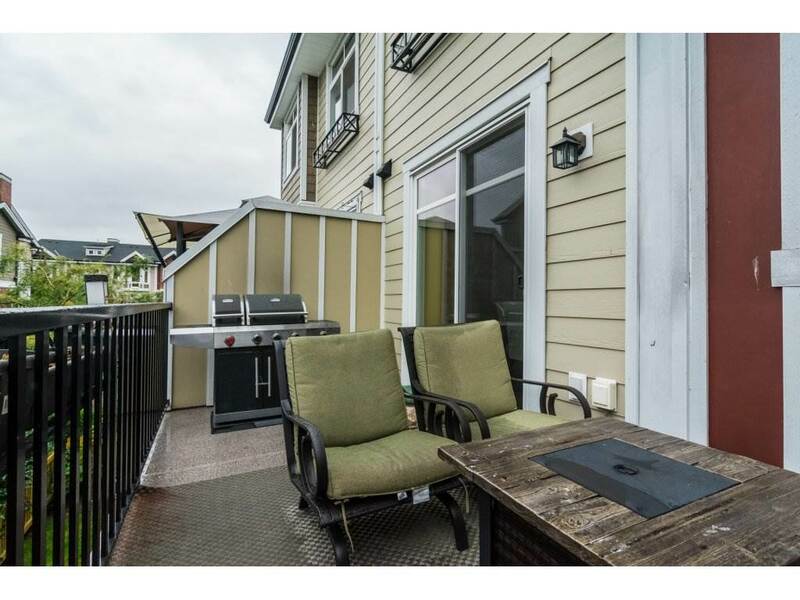 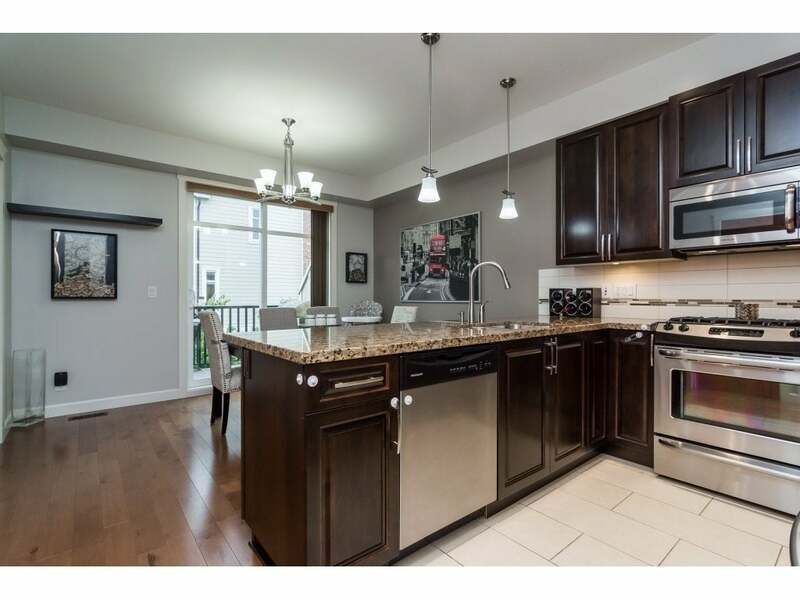 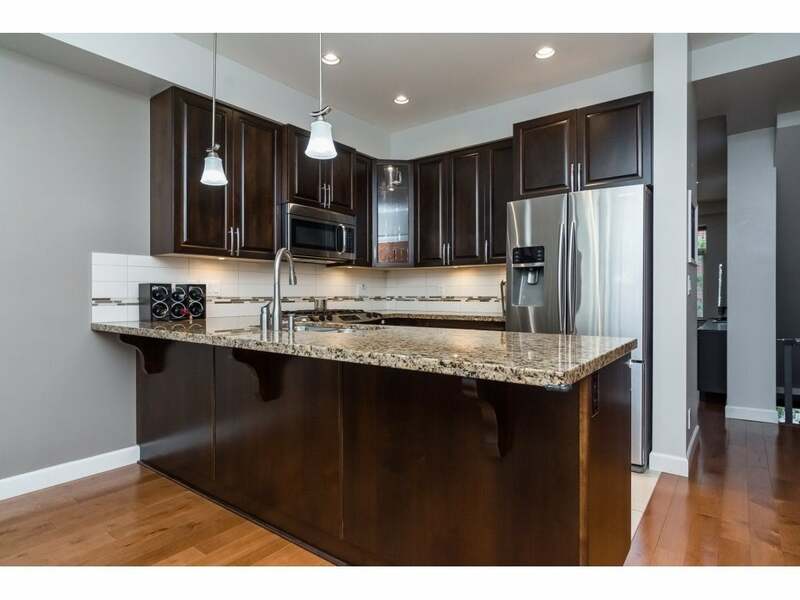 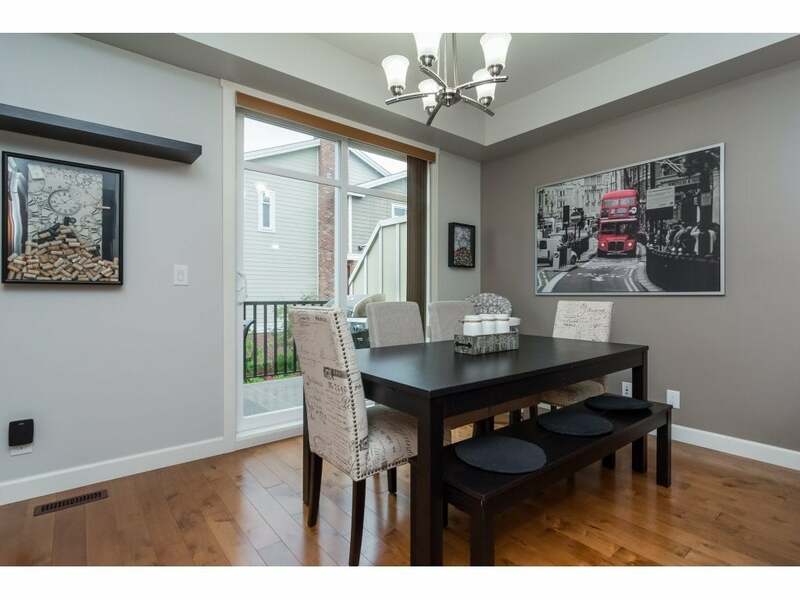 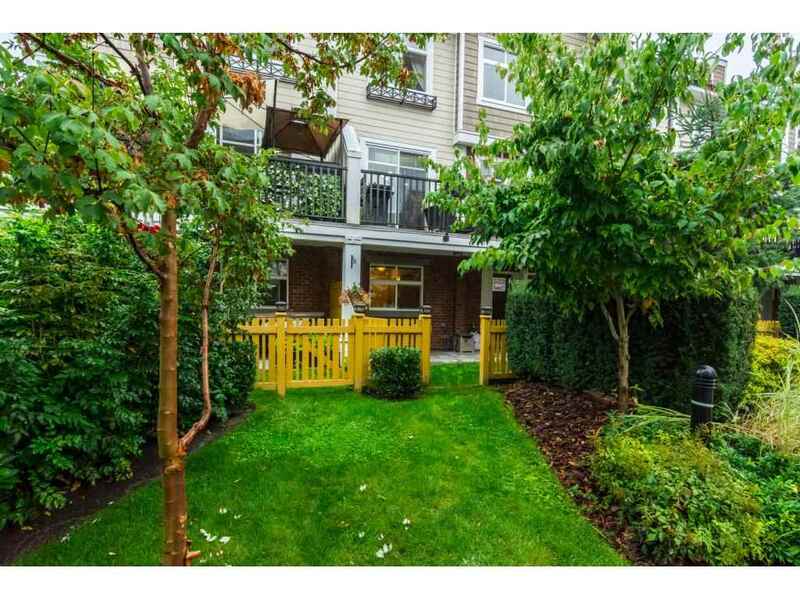 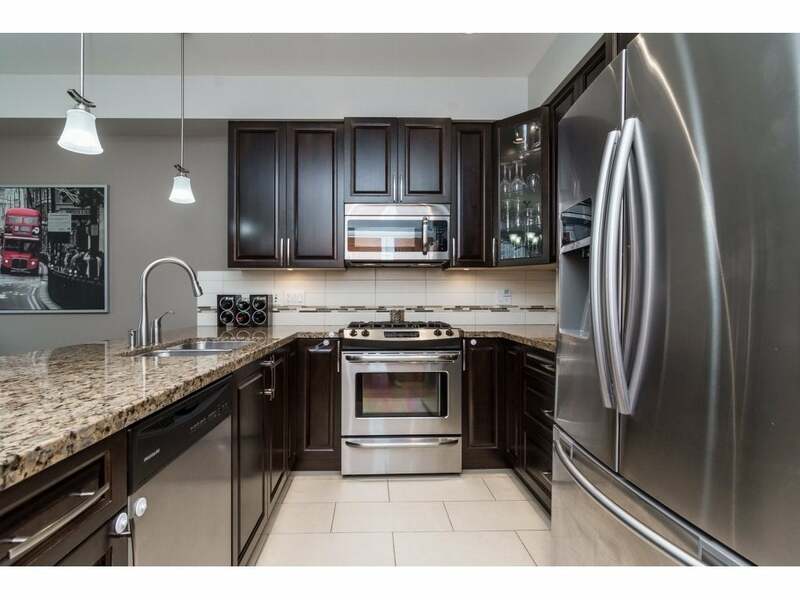 Stunning 3 bed 4 bath townhome in Yorkson Creek w/ perfect location in the complex, & huge den downstairs for rec room, media room or bedroom with it’s own bathroom! 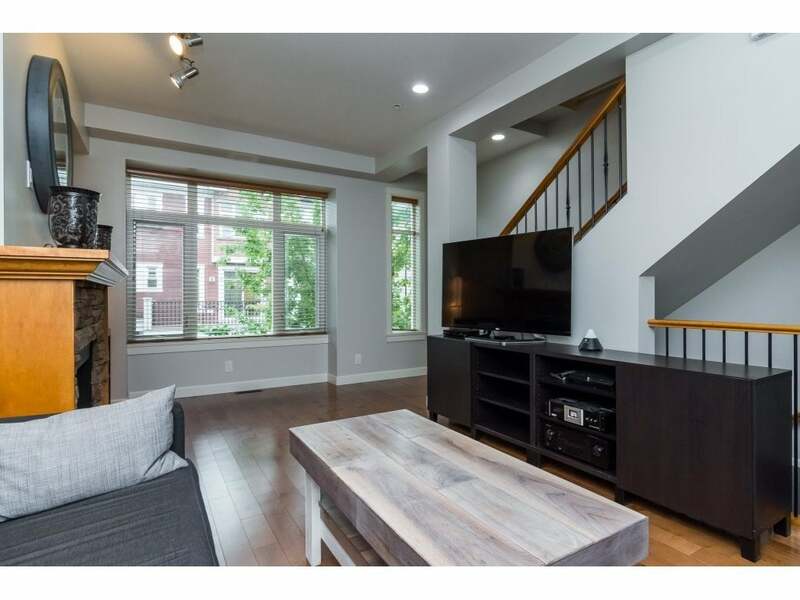 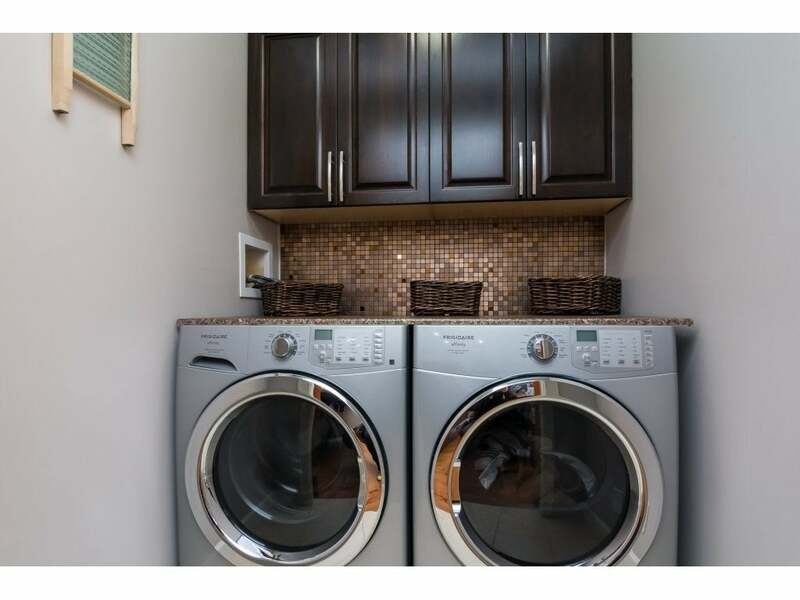 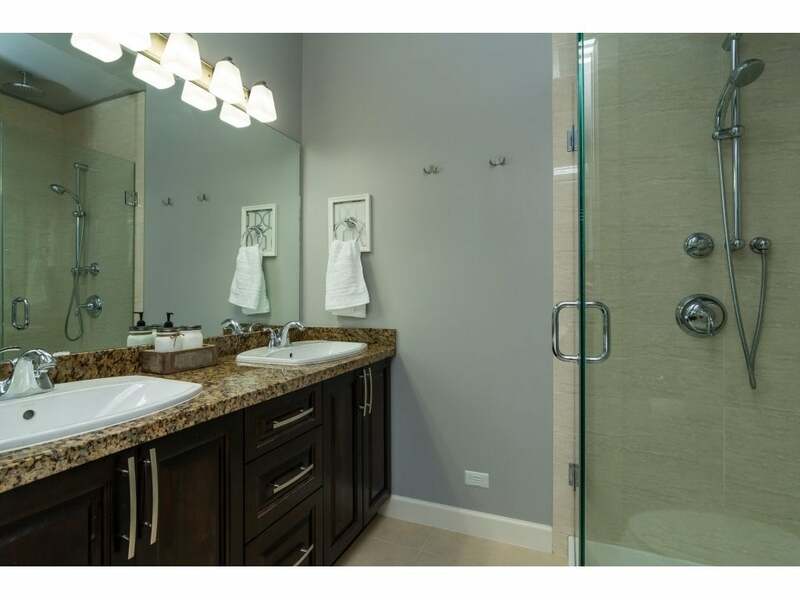 This 1775 sq ft unit comes w/ granite countertops, hardwood floors, s/s appliances, oversized deck off the kitchen, powder room on main, large laundry room and pantry, and is bright and spacious. 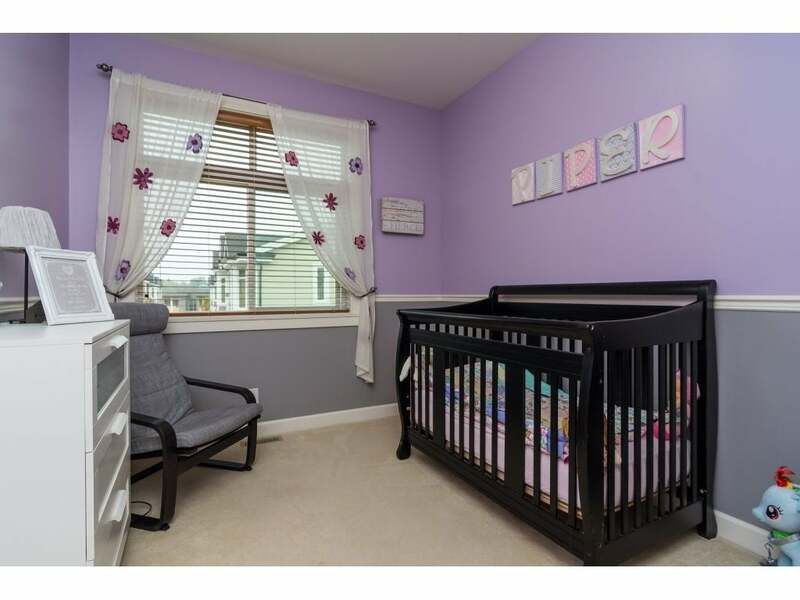 Located close to the playground for the kids, & an easy walk to the large amenity building for functions and to the gym. 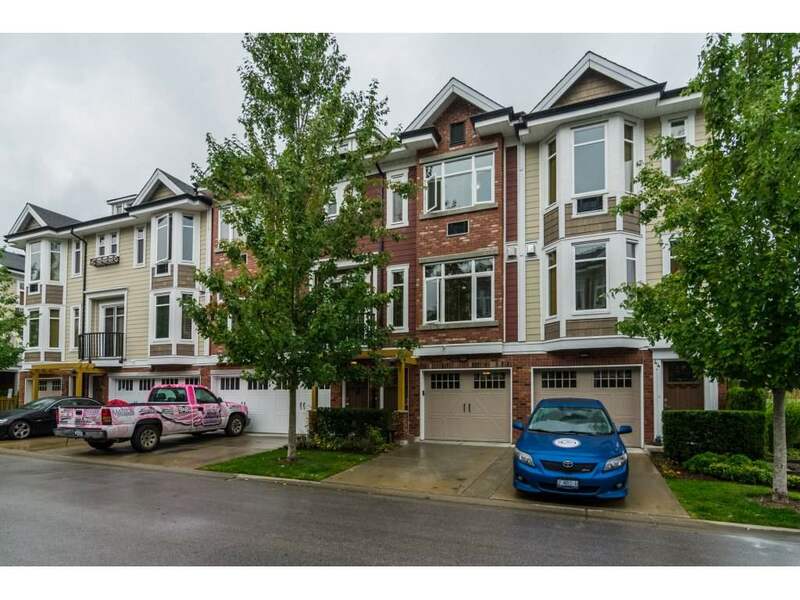 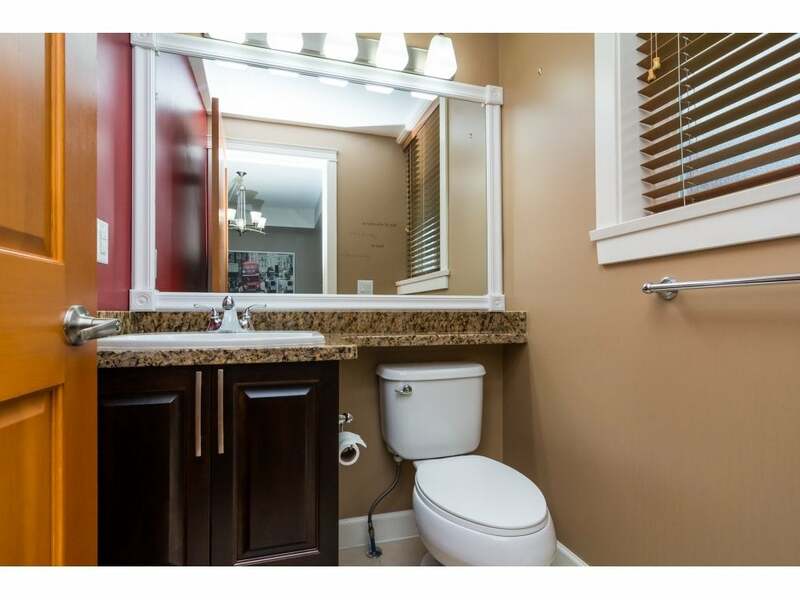 Upstairs has 3 bdrms and 2 baths w/ large master bdrm with vaulted ceilings, A/C, and 5 pc ensuite. 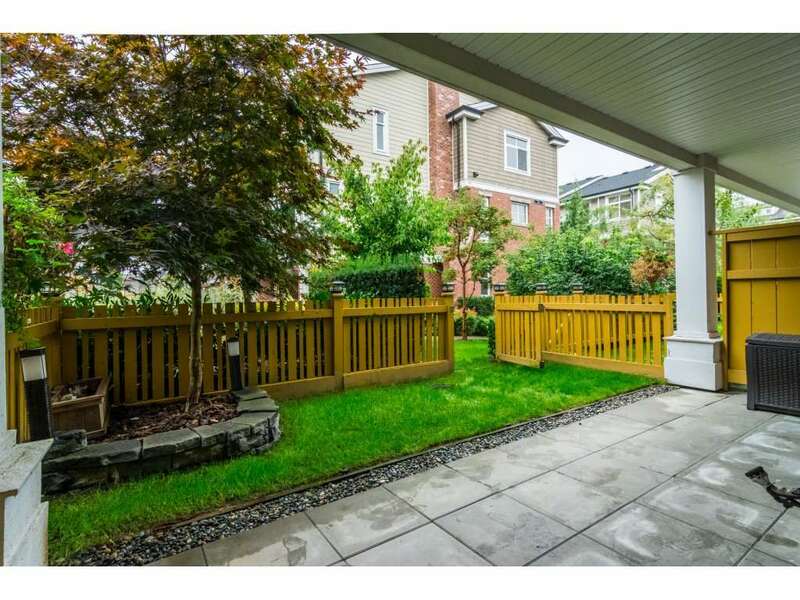 Downstairs has single garage leading into huge den w/ 4 pc & access to patio with inground sprinklers for the lawn! 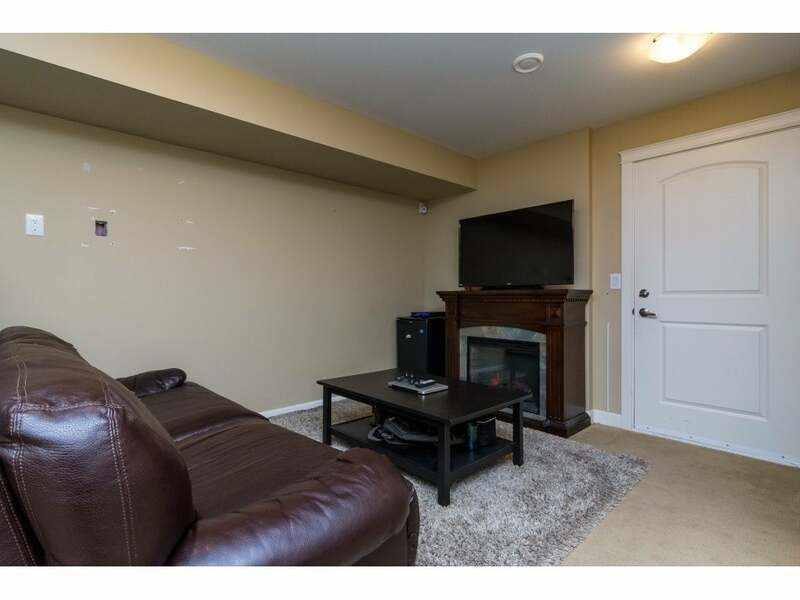 Strata fee includes cable and internet!